Dallas, TX (February 5, 2018) – Cameron Mackintosh’s acclaimed new production of Boublil and Schönberg’s legendary musical MISS SAIGON—a smash hit in London, Broadway and across the UK—will go on sale Friday, February 8 at 10 a.m. for its highly anticipated two week engagement in Dallas at the Music Hall at Fair Park, May 14-26, 2019, as part of the Dallas Summer Musicals (DSM) and Broadway Across America (BAA) Broadway season. Single tickets for MISS SAIGON start at $25 (pricing subject to change) and are available at DallasSummerMusicals.org or by phone at 1 (800) 745-3000. They can also be purchased in person at the Music Hall at Fair Park Box Office Monday through Friday from 10 a.m. to 6 p.m. and Saturday from 10 a.m. to 4 p.m. Orders for groups of ten (10) or more may be placed by calling (214) 426-4768 or emailing Groups@DallasSummerMusicals.org. 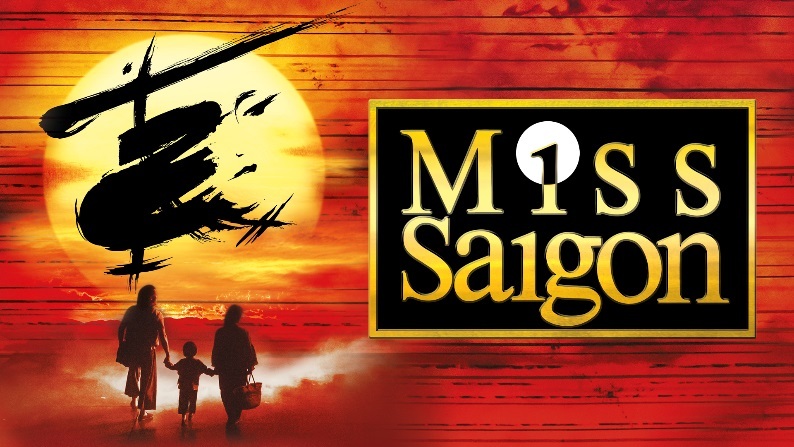 For announced tour dates and to see a video preview, please visit www.miss-saigon.com.